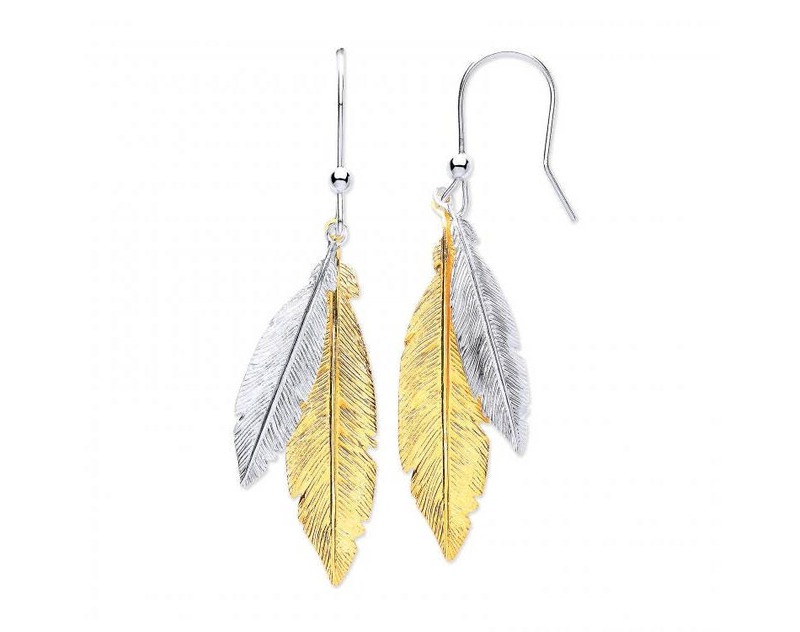 Hand stamped feather motifs in sterling silver and gold plate on silver drop earrings. Crafted in 925 sterling with hook fastenings. Size approx 4cm drop.